It seems like forever since I wrote my last post. Too many things have happened that I couldn’t seem to put them in order. Anyhow, we’ve had several visits this summer and early fall. 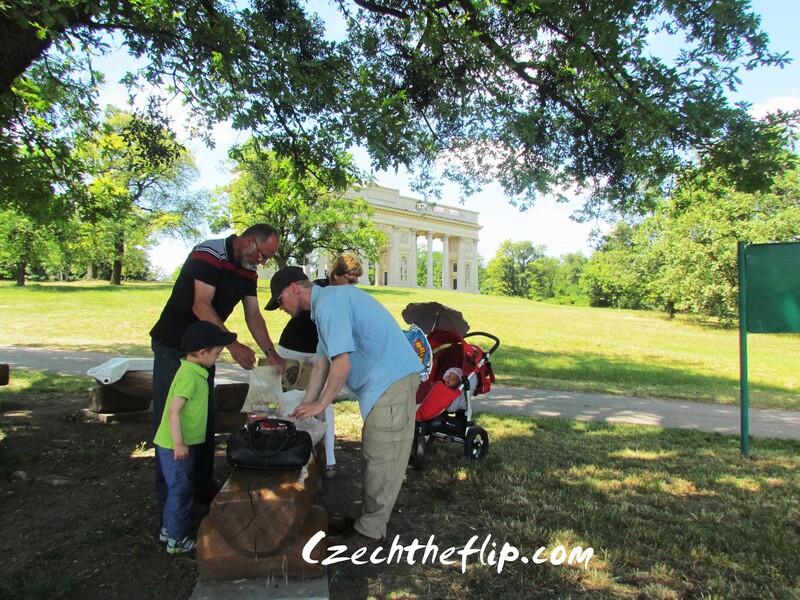 First off, my husband’s cousin and her son from Moravia to spend a weekend with us. 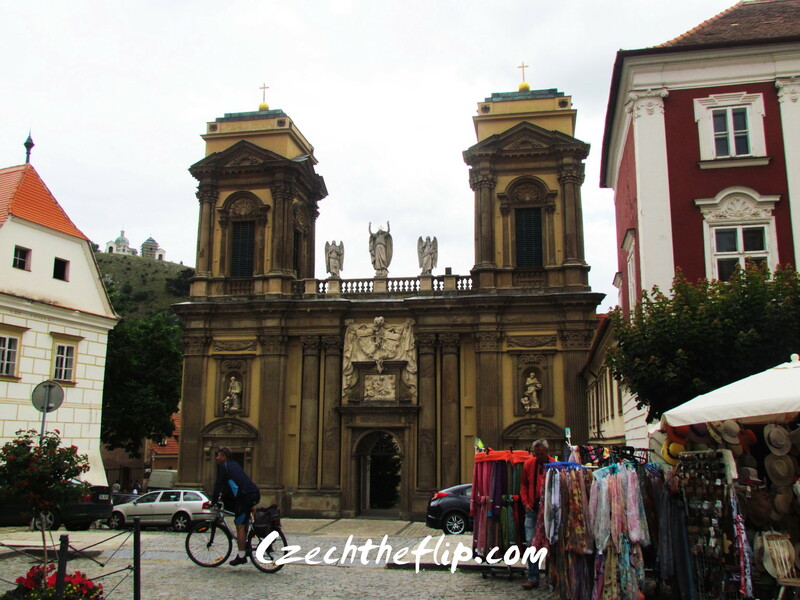 We brought them to Prague and Kutna Hora, since it has been awhile since they visited these beautiful cities. 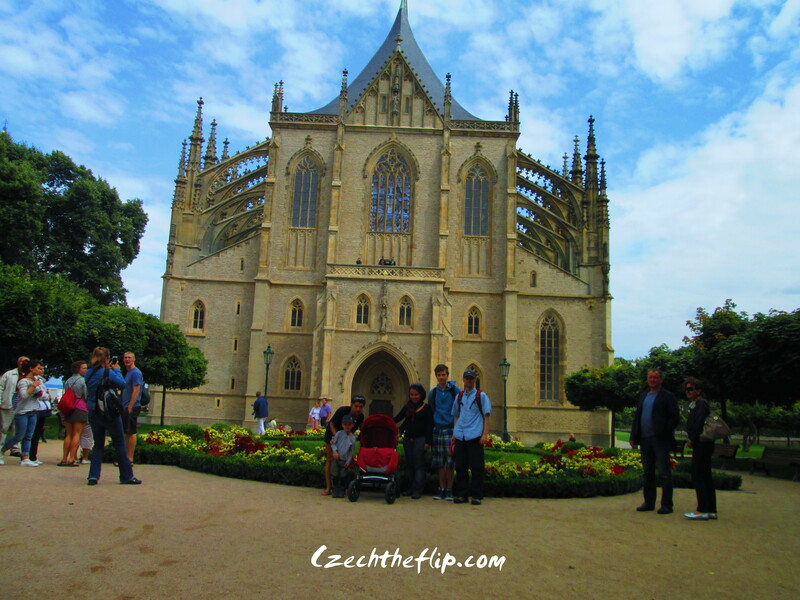 Here’s a picture of us in front of one of the most beautiful churches here in the Czech Republic, the St. Barbora Church in Kutna Hora. 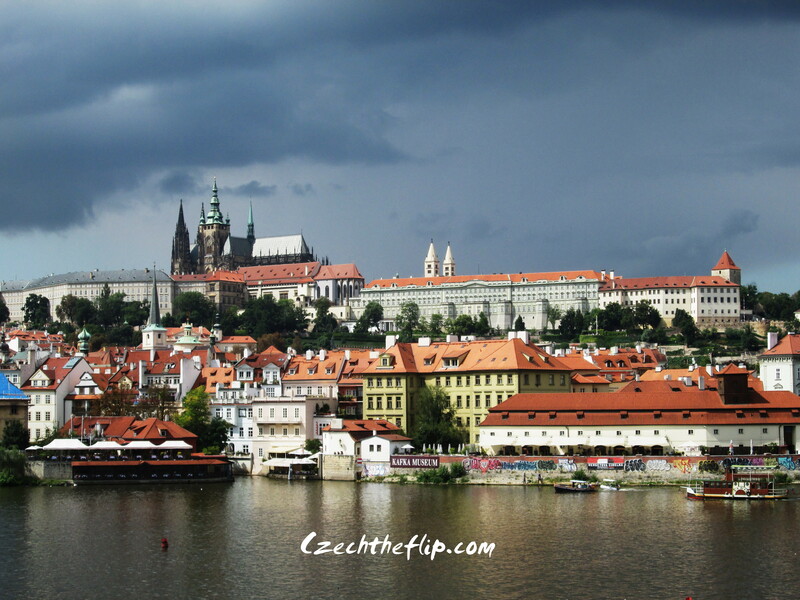 The weather was not in our favor during their visit but we were still able to snap some beautiful pictures of Prague. It is breathtaking in any weather. My friend Melba and her daughter also spent some time with us. It was nice for the babies to see each other again. This time, we contacted some alumni from the university where we had our bachelors and had a mini reunion in a cafe in Prague. A couple of weeks ago, My friend Mymy also came for a visit with her son. She lives in Prague and it was her first long out of town drive since she got her license a year ago. 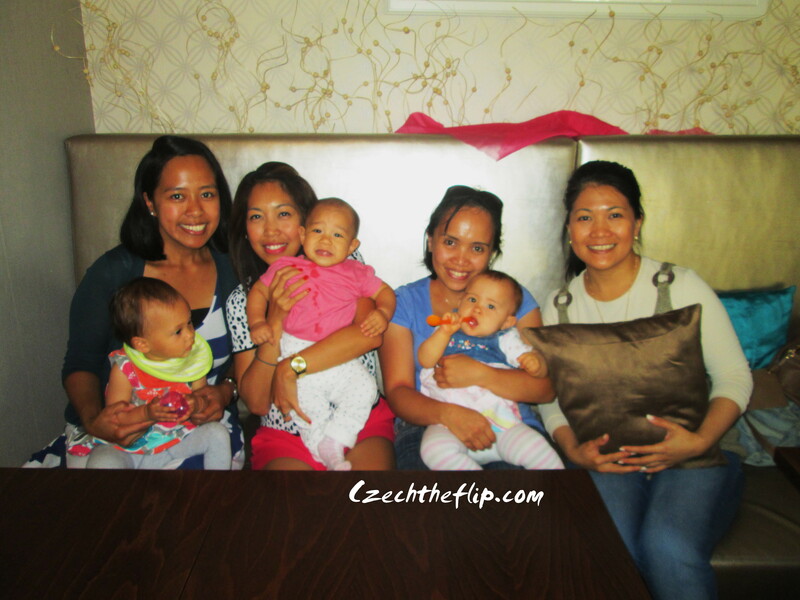 She also has a toddler who is close to Michaela’s age, so it was nice sharing motherhood experiences with her. Lastly, my son has started going to a state primary school and my daughter is turning one pretty soon. How time flies. It seems like only yesterday since we made the significant decision to move here in CZ. Since then, every year is marked with significant milestones. On our way back to Czech, my father-in-law took us to two of the most beautiful places in Moravia: Valtice & Lednice. These places are currently protected as UNESCO World Heritage sites. The chateaus in both towns originally belonged to the Lichtenstein family, when they were still ruling the area. We left our hotel right after breakfast, and the Valtice Colonnade was our first stop. This structure was situated atop a small hill in the middle of wine vineyards, home of the famous Valtice wine. Since it was getting close to lunch time, we emptied our food bags and had a little picnic under a shaded area. Afterwhich, we climbed 89 steps to get to the top of the colonnade. It was tiring, but all worth it because of the view from the top – the beautiful Moravian countryside. During the communist era, this structure also served a less desirable purpose. It used to be a lookout tower for the national guards, searching for vehicles trying to cross the Austrian border. But all that is now just a part of history. 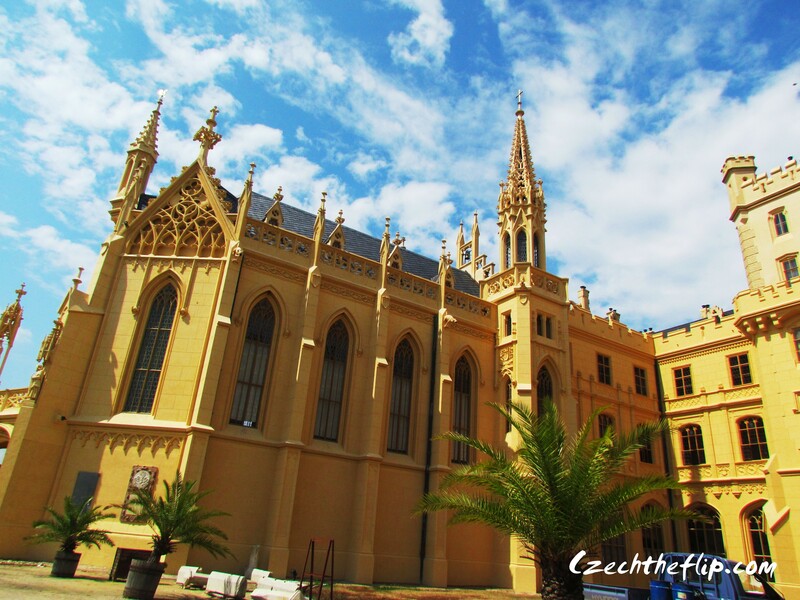 This place has now been fully restored, and is one of the important cultural sights in the area. Next stop was a quick exploration of the town of Valtice. We also went to the chateau, the structure whose image can be found on the label of Valtice wine. We didn’t get to go to the museum due to time constraints, but we were satisfied just walking through town and viewing the buildings from the outside. We then headed out to the Lednice area for lunch. This place is also notable for having one of the most beautiful chateaus in the area. I’m glad we took my in-laws in this trip. 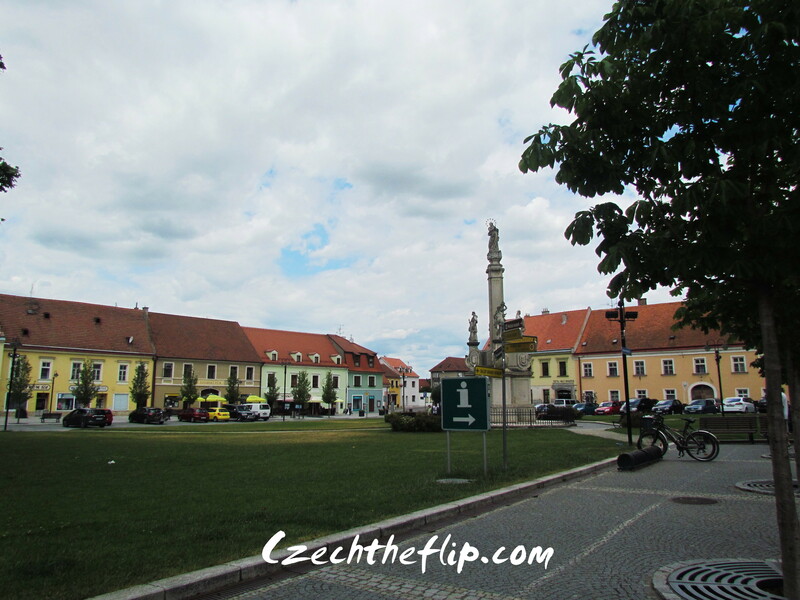 We got to explore not only Vienna but the beautiful Moravian wine country as well. Next time around, when the kids are a bit older, we hope to go back and stay longer, exploring this beautiful place aboard our bicycles. But for now, I’ll just have to wait. 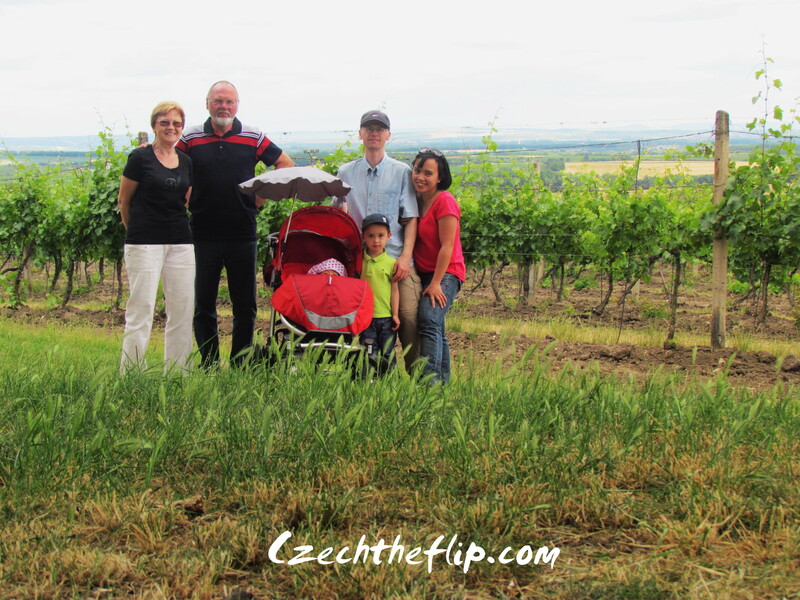 This past weekend, we travelled with my husband’s parents to the Southern part of Moravia and Lower Austria (Vienna). 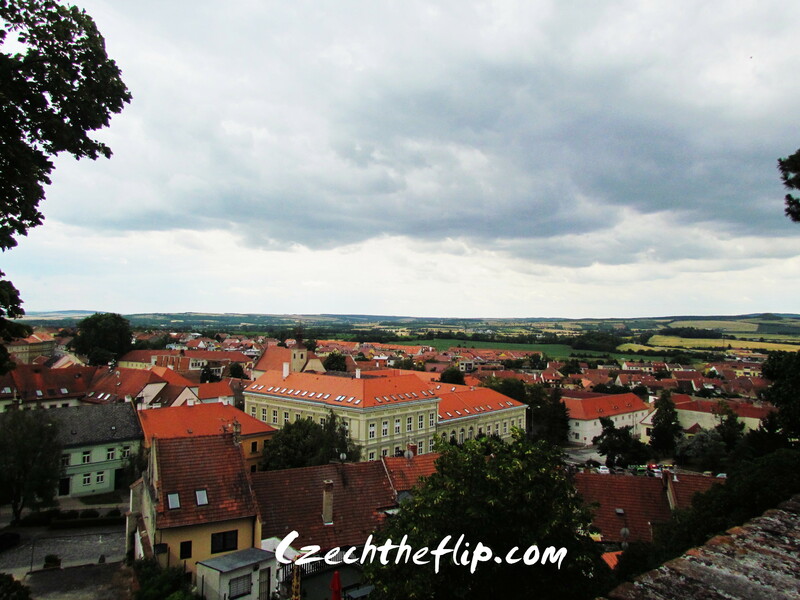 Our first stop was in Mikulov, a beautiful town which used to be ruled by the Lichtenstein family (the noble family whose name is the same as the little country that they still rule to this day) when this part of the country used to be part of the Austrian empire. 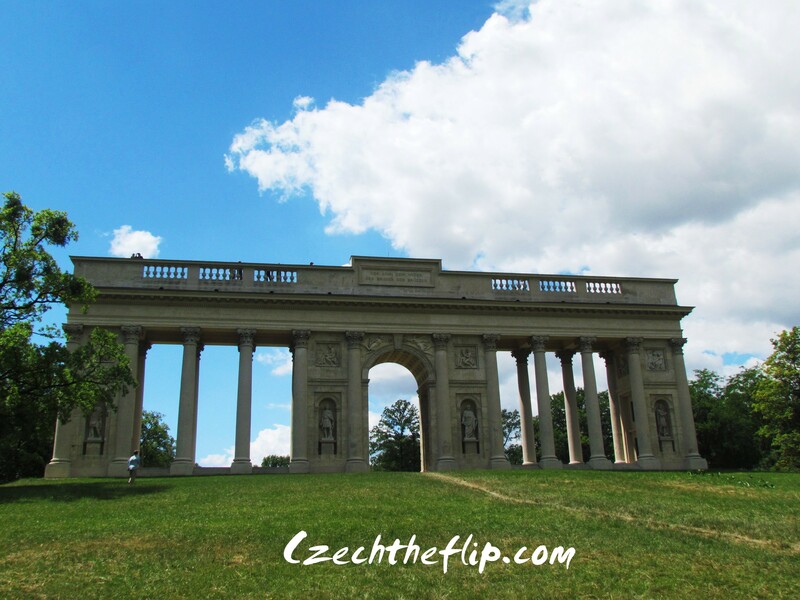 According to other writers, this part of Moravia used to be Sigmund Freud’s playground. Sigmund Freud, the famous Austrian neurologist and the founding father of psychoanalysis was born in Příbor, a little town in South Moravia. That was back during the day when Moravia was still part of the Austrian empire. 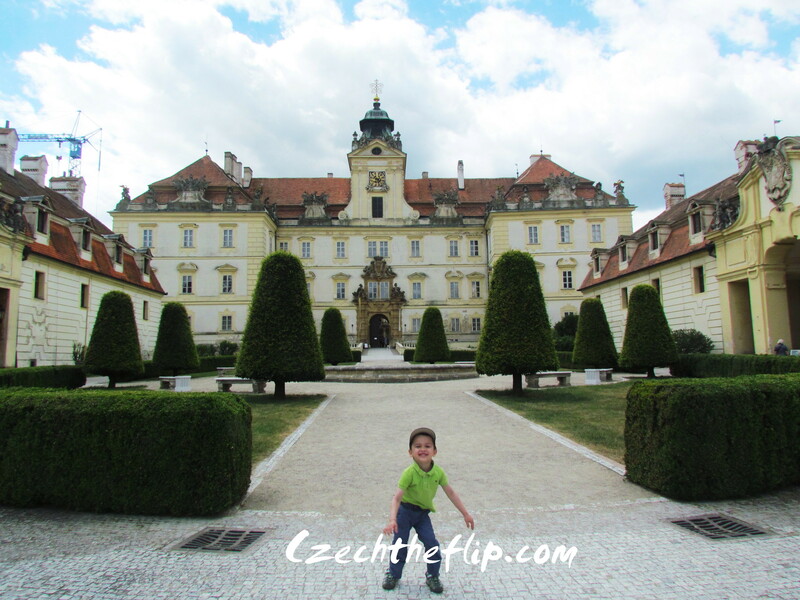 It is said that when he is tired of the hustle and bustle in Vienna, he is a frequent visitor of Mikulov. No wonder, it is just and hour’s drive from Vienna, and very very close to the Austrian border. Perhaps the most famous and most prominent historical spot in this town is the Chateau. This chateau used to be the summer residence of the Lichtenstein noble family. 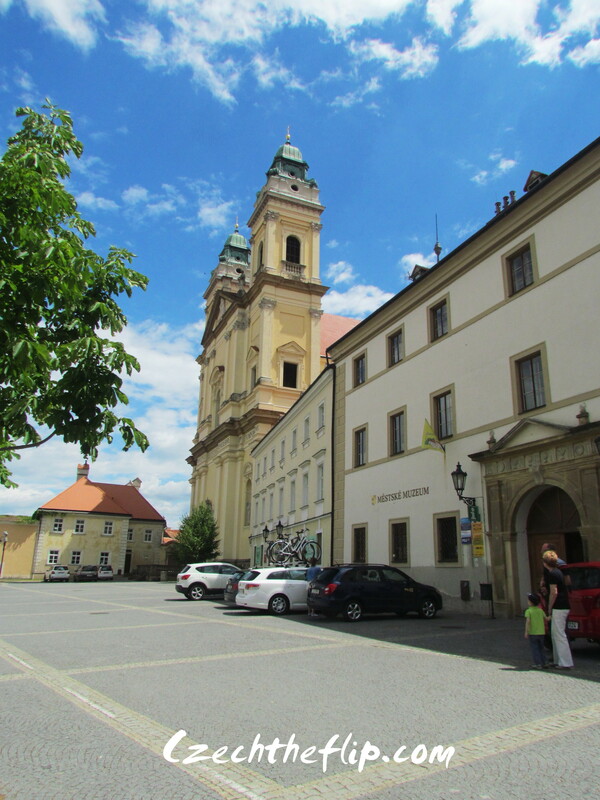 Later on, it was sold to the Dietrichstein family who occupied this place until 1945. In fact, another notable monument is the Dietrichstein tomb, where the remains of the family members now lie. 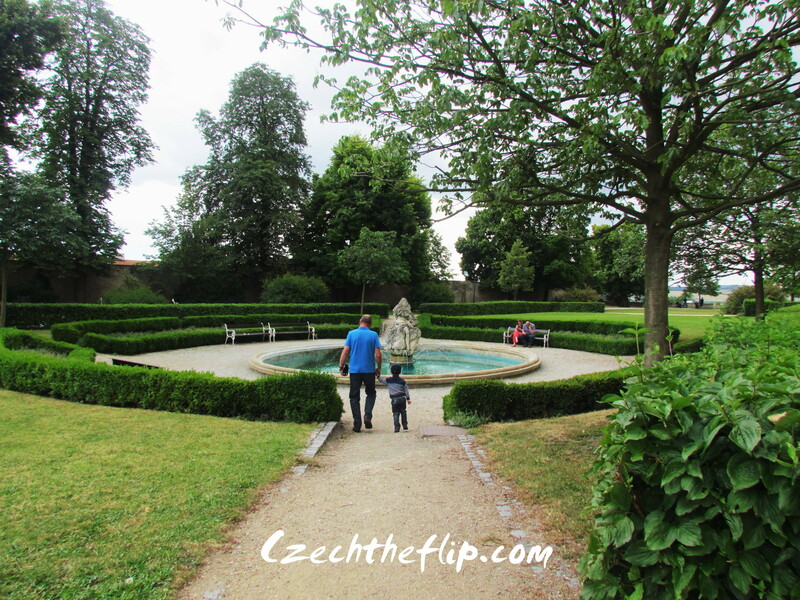 Inside the chateau grounds, is a beautiful garden which is open to the public all year round. Up in the chateau grounds, one can view the whole town. In the distance, one can also see another interesting monument, the Svatý kopeček (Holy Hill), where the St. Sebastian chapel can be found. We never really went to this place because it sits on a different hill. It seems like there were a few pilgrims who made their way to the top. But on the other hand, they may not be pilgrims. This hill is also home to several rare plants and animal species and has been declared a nature reserve. 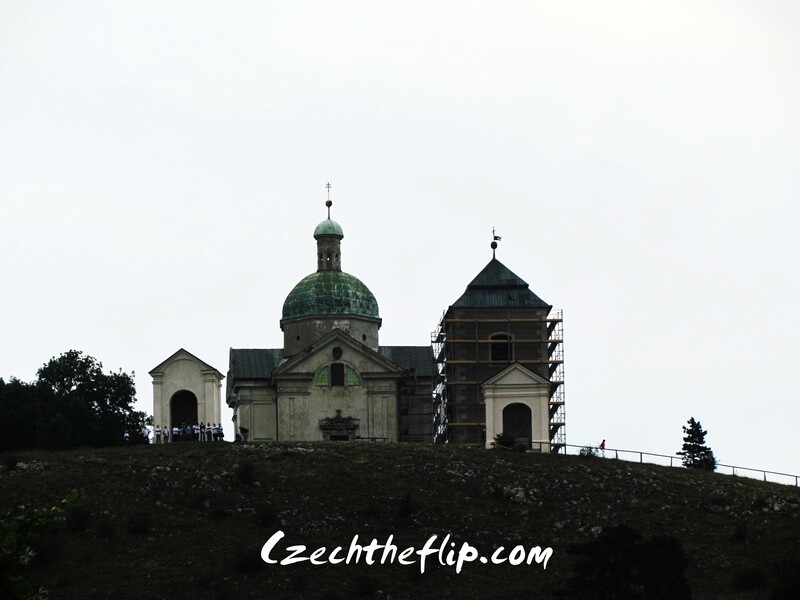 Still on a different hill, one can also find the Kozí hrádek (Goat Tower). 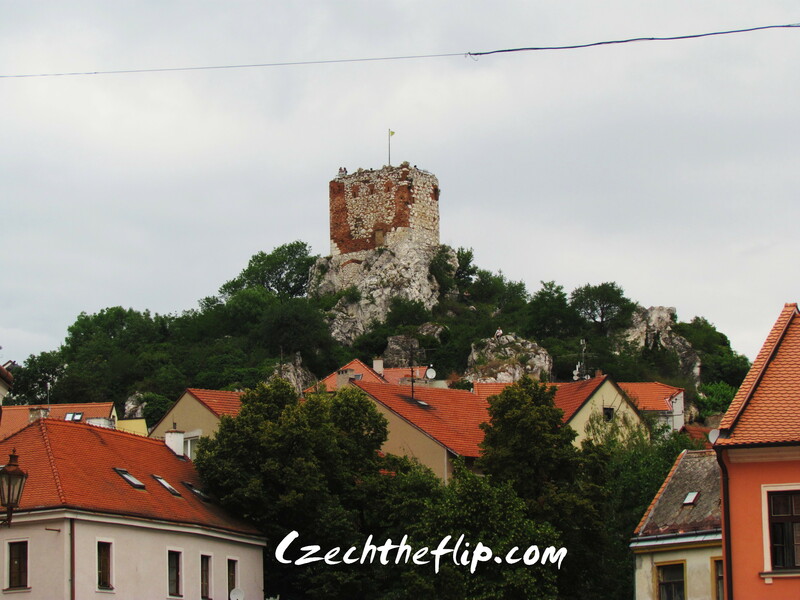 This was a very significant tower for the protection of Mikulov in the 15th century. It contains a two-storey bombarding tower, which at that time was considered an advanced defense system in the Central European context. Today, it is has been landscaped and included as a recreational area. There were still a lot of interesting places that we didn’t get to see due to time constraints. But with what I saw, I am not wondering why Freud loved this place. Mikulov offers a wide range or nature activities and for those who appreciate good wine, this town also has a rich viticulture tradition. The historical monuments I mentioned was just a tip of the iceberg. I have just added this in my list of favorite places to visit. Not sure when we can go back, but we definitely will. 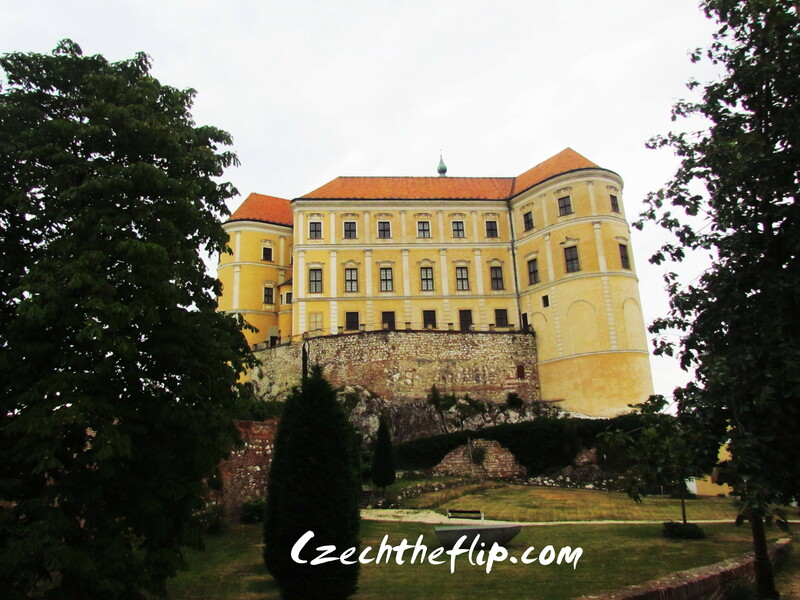 If you would like to know more about Mikulov, please click here. I did. It was Easter this past weekend. In keeping up with Easter tradition here in Czech, the females in my family were whipped by the males. It doesn’t matter what age, gender is all that matters. Here, my sister-in-law got whipped by her own son. Even my very young daughter got her share of whipping too. Luckily, her Tata kept a watchful eye and held her close for comfort. And yes, it may sound way too weird, but the rationale behind the whipping actually makes a lot of sense. It is done to ward off bad spirits and ensure good health all throughout the year, for the person whipped . More about this practice can be found in my previous post here. 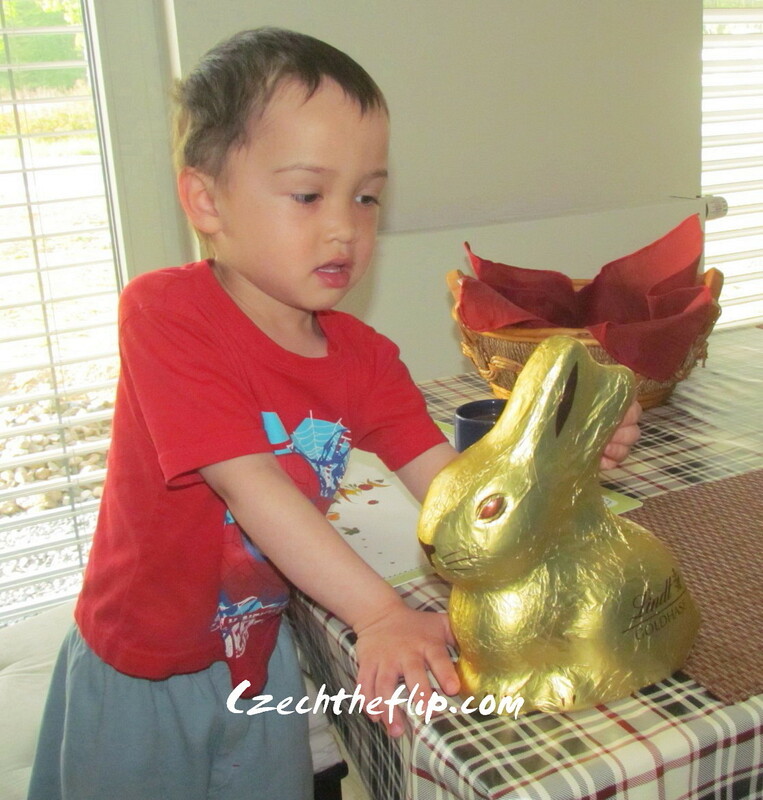 Meanwhile, when we got home, it was time to eat the choco Easter bunny that Jakub got from our Swiss friends. At first, he was a bit hesitant to eat it as he had been attached to it after waiting too long for this moment. Here he is giving it one last kiss. 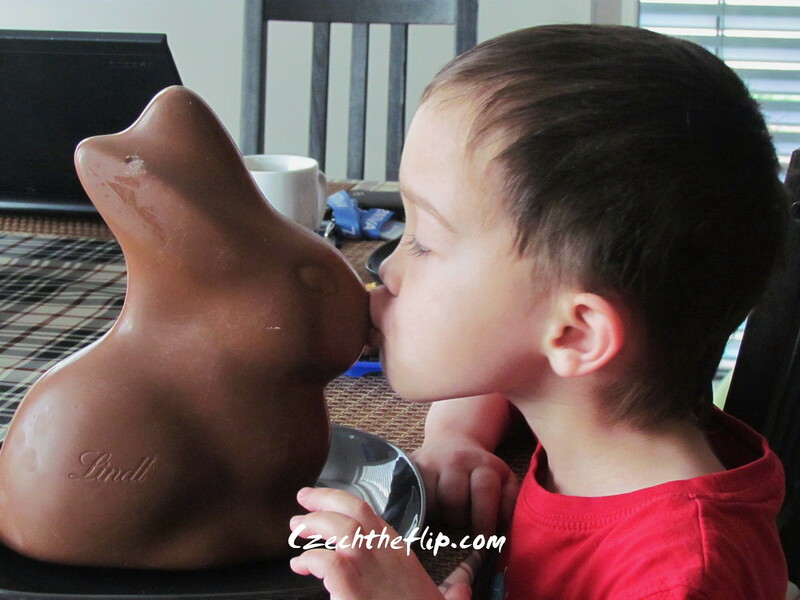 But in the end, his love for chocolate still prevailed. Crunch! Off went the bunny’s tail. No wonder somebody escaped from her play gym. Anyhow, I hope you had a great Easter weekend! 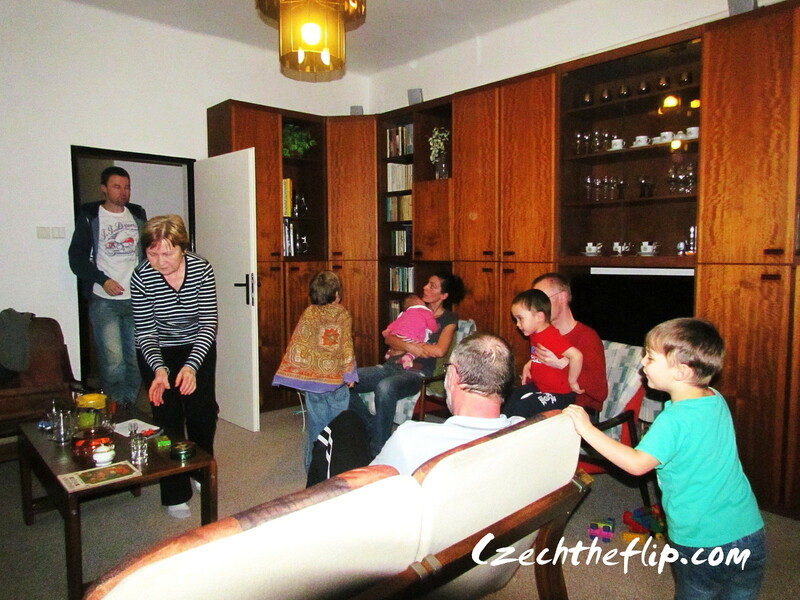 Last weekend, we visited my in-laws in Moravia. It was Michaela’s first visit to her grandparents. The trip took us 2.5 hours one way and it was her longest car trip yet. Both her and her brother behaved so well. She was sleeping most of the time which made it a very smooth one. When we got there, she immediately warmed up to her grandparents. 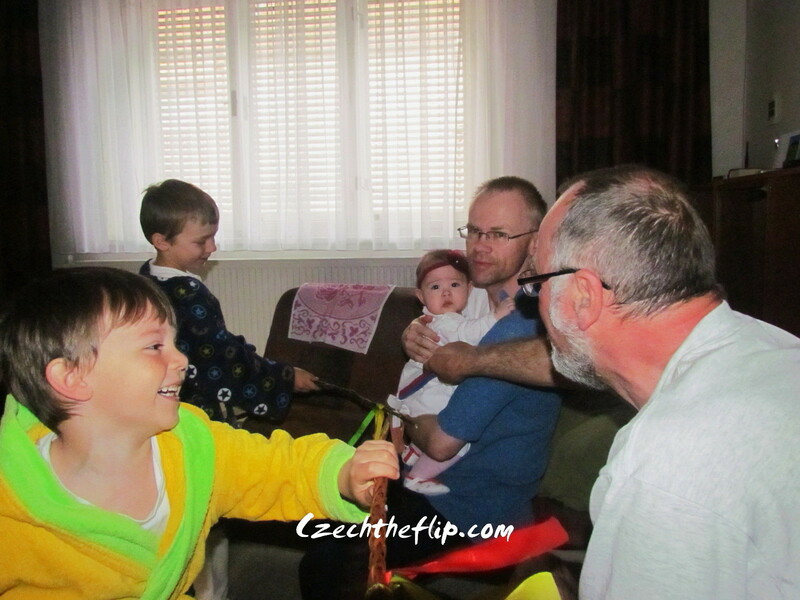 Here she is playing with grandpa…. …and posing for a shot with grandma. It was also my father-in-law’s birthday celebration, so the following day most of our family came by. 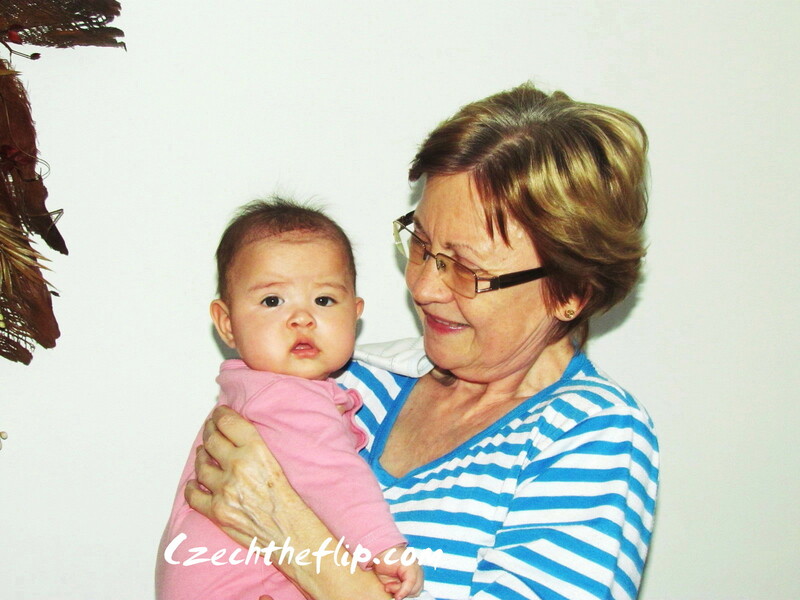 She was quite apprehensive with Aunt Romana and Grandma Marta (mom-in-law’s sister). But she comfortably fell asleep in Aunt Hanka’s arms. The boys didn’t care much about the new baby. They were busy doing their thing — running around. This is the usual scene. The usual suspects in action. Where am I? Doing what I like best —taking pictures! And of course the day is never complete until somebody cries. But all in all, the visit went very well. Our little princess was happy for the most part. I hope your weekend was great as well. The Czech Korun is the Czech Republic’s national currency. But do you know that they also have an unofficial currency? Yes, folks. It is the Slivovice (plum liquor). Slivovice is a distilled wine spirit made from plums. 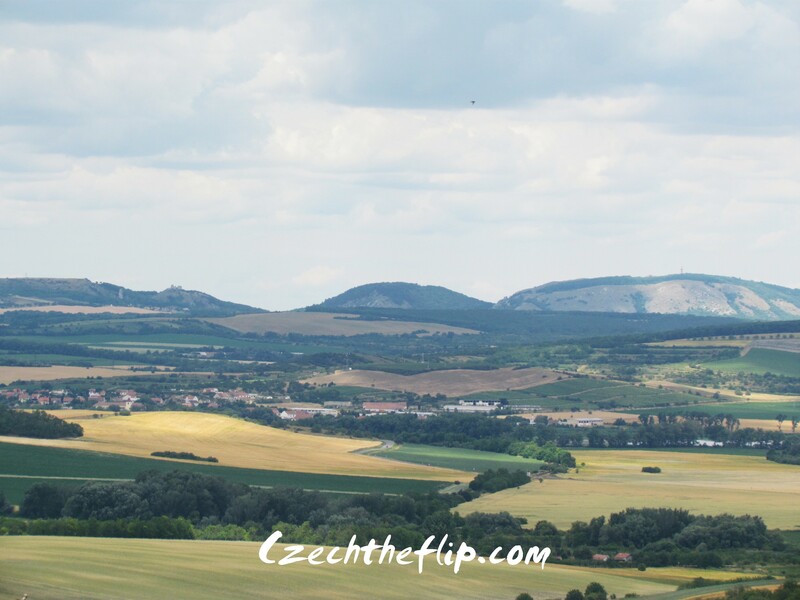 It is widely produced everywhere in Czech, but primarily in the region of Moravia, where my husband is from. To produce slivovice, the plums and their ground kernels are initially crushed and pressed. Yeast, starch, and sugar may be added to the juice, and the mixture is then allowed to ferment. After some time, it is brought to a government-certified distillery for the final step in the process. In the olden times, the whole processing of slivovice used to be done at home. However, to prevent errors in the distillation process (production of methanol), home distillation is now banned. Besides, it is also a good opportunity for the government to collect taxes on the product. On our first year here in Czech, my father-in-law brought us to a private distillery where he brought his own fermented products ready for distillation. It was interesting for me to witness the distillation process, but equally interesting to witness the eager faces of the men waiting for their final product. They take pride in the percentage of alcohol from their mixture. 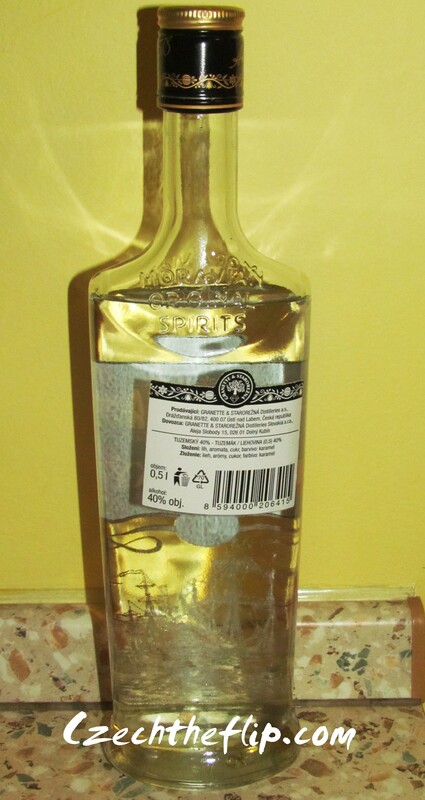 The usual strength of privately-produced slivovice is 50%. Most commercially-produced products have lower strength. On that particular event, ours had 55%. My father-in-law was beaming with pride. Since my father-in-law is a slivovice hobbyist, we need not make our own as we regularly have a constant supply of this product. He makes gallons of it for his own private consumption and for distribution to his 2 sons. That day, I had another lesson in Czech culture. I was so looking forward to Easter Sunday because my husband and all the other Czechs I know were very optimistic about a bright and sunny Easter holiday. Although we still had subzero temperatures during the night, the days prior to Easter Sunday were relatively warm (at 2C or higher). We arrived Friday night at my in-laws’ house and everyone were in high spirits. Come Saturday and the weather was not too bad. 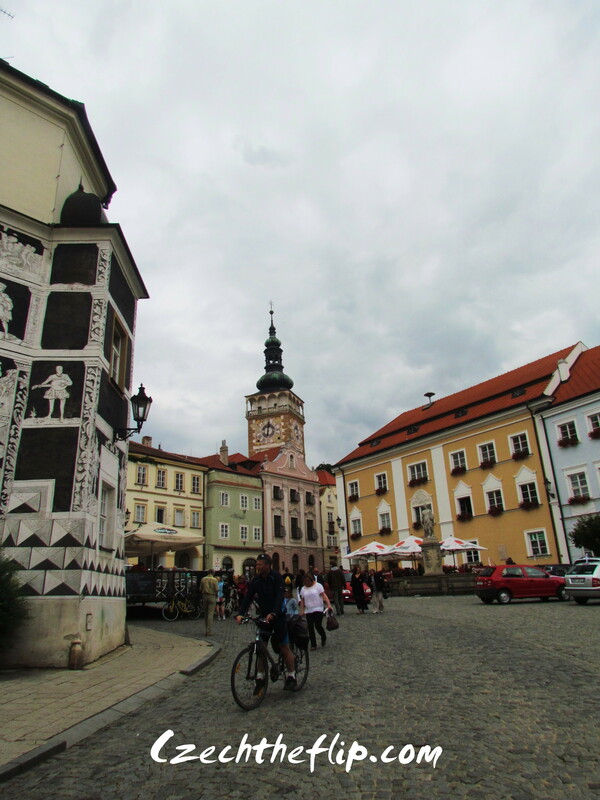 In fact, we had a little bit of sunshine creeping through the clouds as we walked around my husband’s home town in Moravia. But Easter Sunday was a different story. As I was getting ready for church earlier that morning, 5cm of fresh snow greeted me as I opened the windows. The worst part was that it didn’t stop snowing till late afternoon, not until it reached 15cm. In other parts of Moravia, the heavy snowfall caused a lot of road accidents. We all went out to lunch that day at a local restaurant and visited my husband’s aunt at a neighboring town. We then proceeded to visit my mom-in-law at the hospital. Luckily, we arrived at our destination safe and sound and only had to contend with cleaning off the snow from our cars. 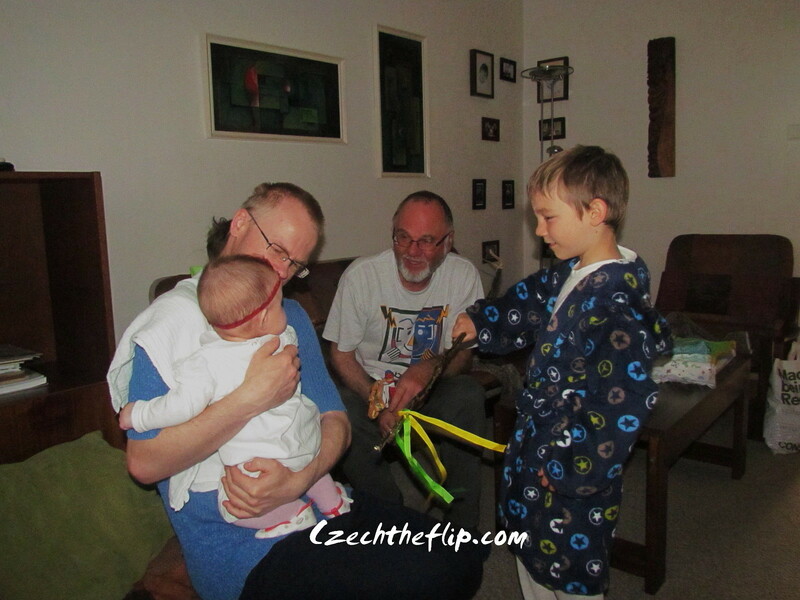 It was a very unusual Easter, even for the Czechs. For a while there, I thought I moved to the North Pole instead of the Czech Republic. Winter has definitely overstayed. I’m glad we are now back in our home in the Bohemian lowlands. There was no snow in this part of the country, and it is now relatively dry. I do feel bad for the rest of my husband’s family in Moravia who are still contending with heavy snowfall which is forecasted to last until Friday. “Oh well, what can we do? That’s life,” I said to myself as I am now slowly digging into my son’s Easter loot. Meanwhile, I’ll leave you with a short video about my land of eternal sunshine. It is a great antidote to these winter blues.